Friends for Our Riverfront: Q: Who's Got a Cobblestone Landing Besides Memphis? Q: Who's Got a Cobblestone Landing Besides Memphis? 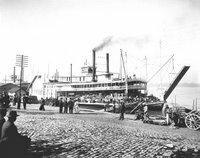 A: Nobody in the U.S.A. has an authentic, usable waterfront or riverfront cobblestone landing anymore except Memphis. "It is the last remaining stone-paved landing on interior waterways. There used to be others, especially at St. Louis and Cincinnati‚ but those have been destroyed," says archaeologist Guy Weaver. 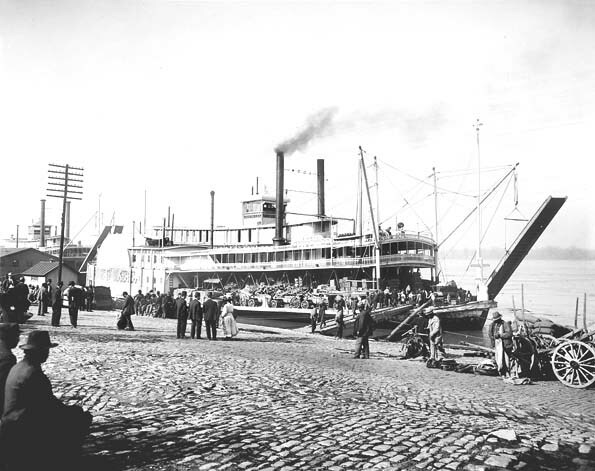 When the shore at the foot of the bluffs was paved with cobblestones back in the 1800s, Memphis became a center of commerce. This is one reason FfOR and other civic groups ardently promote preservation of Memphis Cobblestone Landing and restoring its usability for boating and enjoyment for everybody, locals and visitors. "The cobblestones are one of the most significant historic sites in this area," says Guy Weaver. Actually, Americans (and other nationals) spend thousands of dollars each year to visit European and South American cities that preserve their sites' cobblestones. Think about it! Click HERE to learn more about the Cobblestone Landing at Weaver & Associates.